In the summer of 2017, NDEO underwent extensive research into PreK-12 dance education programs and certification requirements to support its members and those interested in PreK-12 dance education. By conducting internet research, and speaking directly with school administrators and state boards of education, NDEO compiled a list of higher education institutions that offer Pre-K dance education programs and certification, and provided updated information on state credentials and standards. To read the EXECUTIVE SUMMARY of these findings, click here. To view a MAP of the United States with a list of states that require dance certification in PreK-12 education in 2017, click here. These statistics are subject to change depending on state policies and funding. Credential, licensure, and certification requirements for PreK-12 education differ from state to state due to lack of standardization in terminology, state legislation and policies, and funding. To download a the NATIONAL INDEX OF DANCE CREDENTIALS AND STANDARDS in the United States, click here. 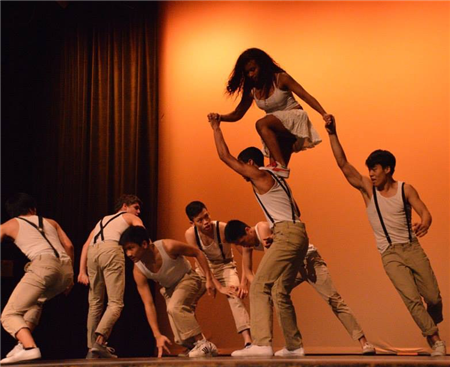 To view the current list of HIGHER EDUCATION INSTITUTIONS offering PreK-12 dance education programs and certification, click here. If you have found an error or would like us to update information, please complete our PreK-12 Cert Update Form. With support from the National Endowment of the Arts, NDEO published Evidence: A Report on the Impact of Dance in the K-12 Setting in July 2013. NDEO researchers undertook a review of recent studies of how dance impacts learning, with particular attention to several areas determined to be under-researched in the 2004 Research Priorities in Dance Education: A Report to the Nation (Bonbright). These areas included: Creative Process, Neuroscience/Brain Research, Student Achievement, Affective Domain, Student Performance, Equity, Cultural and World Dance, and Children-at-Risk. A group of researchers combed a variety of databases, including recent theses, dissertations, and articles within the Dance Education Literature and Research descriptive index (DELRdi), the Fast Response Survey System (FRSS), and a newly discovered collection of reports from the U.S Department of Education’s Arts-in-Education programs in professional development and model programs. The researchers prepared evaluations and summaries of each study, article, or report that provided insight into the evidence of how dance education impacts teaching and learning in the first decade-plus of the 21st century. To read more about the report, click here. To read the report, click here. The report outlines data collected under the Fast Response Survey System (FRSS) on student access to arts education and the resources available for arts instruction. The 2009-2010 FRSS survey on arts education is the third of its kind. The first two were in 1994-1995 and 1999-2000. Former Secretary of Education Arne Duncan's remarks on the release of the report. The Arts Education Partnership (AEP) and a coalition of partners including NDEO developed a toolkit for understanding, communicating, and utilizing the Arts Education in Public Elementary and Secondary Schools report. Established in 1975, the Fast Response Survey System (FRSS) collects issue-oriented data on key education issues at the elementary and secondary levels as needed by the Department of Education. The FRSS collects data nationally from state education agencies and other education organizations and participants, including local education agencies, public and private primary and secondary schools, teachers, and principals, and public and school libraries. Surveys are kept short, and sample sizes are small (generally 1000-1500 respondents per survey) to ensure timely data collection. For more on the FRSS, click here. Disclaimer: Due to the inability to effectively identify dance programs across the nation, dance is unable to be represented and assessed in national assessments such as the National Assessment of Educational Progress (NAEP), which has impacted NDEO's ability to provide up-to-date information on the current progress of dance education in the United States. The National Coalition for Core Arts Standards (NCCAS) has released two reports entitled "The Status of Arts Standards Revisions in the United States since 2014" - one in January 2017 and the other in March 2018. The reports are the result of an analysis of states who have revised their standards since the publication of the National Core Arts Standards in June 2014. To read the January 2017 report, click here. To read the March 2018 report, click here. Photo Credits from top: Photo by John Spicer. Courtesy of San Francisco Ballet; Courtesy of Bellaire High School, Houston ISD.